Absolutely incredible card which was just graded at this year's National Convention and brought over to our booth. 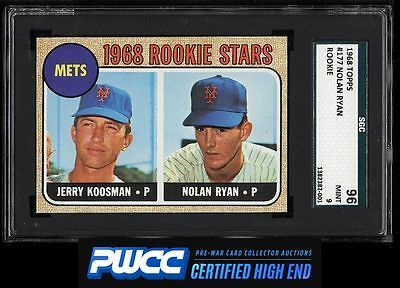 By far the single finest Ryan RC we've sold in our history, and seems completely worthy of the GEM MINT designation. How is this card only a 9? Dead centered, flawlessly sharp, and perfectly printed for the issue. This card is simply jaw dropping from every angle and we guarantee that anyone who holds it would agree. Seems worthy of review for a higher grade. This comes with our highest recommendation. One of nearly 20,000 cards, lots, and sets up for bid in our 7th Auction of 2016. Click on the link above to view the other PWCC auction lots.